Root colonisation by communities of arbuscular mycorrhizal (AM) fungi is a dynamic process. It is dependent on characteristics of the forms of the fungi which occur in soil and inside roots and on the root structure and root growth rates. 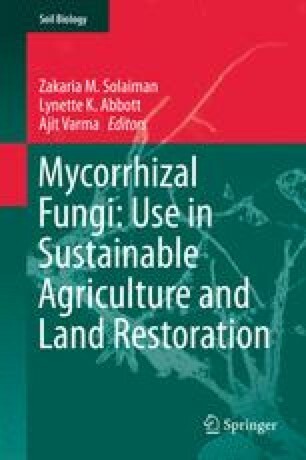 Mycorrhiza formation is also dependent on factors which influence inoculum potential of each AM fungus present which in turn is influenced by root colonisation levels, infectivity of hyphae, interactions with other organisms, interactions with soil particles and interactions among the AM fungi themselves. AM fungi differ in a manner in which they colonise roots, in their capacity to form propagules, in their tolerance of environmental conditions and their competitive ability. The dynamics of root colonisation by communities of AM fungi is also controlled by the host plant through the availability of carbon substrates needed for fungal growth as well as interactions with neighbouring plants. The links between the diversity and dynamics of communities of AM fungi within roots and ecosystem function are difficult to discern based on current approaches to assessing mycorrhizal function.